Below you will find out how a lack of resistance training can lead to many more consequences than just things like a loss of muscle mass, strength, and a less desirable body composition (Volpi E, Nazemi R, 2010). Muscle mass decreases approximately 3–8% per decade after the age of 30 (Holloszy J.O., 2000). This rate of decline is even higher after the age of 60 (Melton L.J., Khosla S., et al. 2000). Muscle strength can decrease by 12–15% every 10 years after an individual reaches the mid-century mark. (Larson L., 1983). This is important to know because it’s a critical component in preserving functional activity in older adults (Papa E.V., Dong X., 2017). This study mentions that muscle strength might even be more important than muscle mass as a determinant of functional limitations and mobility status in older age. (Kalyani, R.R., Corriere M., et al. 2014). It’s also become clear that decreases in muscle strength exceed what is expected on the basis of the decline in muscle mass during ageing, especially after the age of 60–70 years. (Kalyani R.R., Corriere M, et al. 2014). A decrease in muscle mass is accompanied by a progressive increase in fat mass and consequently changes in body composition. It’s also associated with an increased incidence of insulin resistance in the elderly. (Volpi E., Nazemi R., et al. 2010). An involuntary loss of muscle mass, strength, and function is a fundamental cause of and contributor to disability in older people. (Volpi E., Nazemi R., 2011). Exercise is primarily shown to reduce the loss of bone mineral density and increase bone stiffness, demonstrating its ability to act as a barrier to the development of osteoporosis. (Senderovich H., Kosmopoulos A., 2018). More on this later. Resistance training can provide positive improvements on cognitive capacities of the elderly, bringing enhanced life quality. More on how resistance training effects cognition in the treatment section below. Many factors contributing to age-related loss of muscle mass and strength have been suggested, with physical inactivity probably being the most important. (Kalyani R.R., Corriere M., 2014). A lack of resistance training can lead to many more consequences than just a loss of muscle, strength, and a poorer body composition (Volpi E, Nazemi R, 2010). Fortunately, aged muscle is still very plastic and can respond to anabolic stimuli by increasing its mass and strength. This knowledge is vital for designing interventions to reverse or attenuate the loss of muscle mass with aging and to improve functional abilities in the elderly. (Volpi E, Nazemi R, 2010). It has been well established that resistance training represents a feasible and effective interventional strategy to counteract muscle and strength loss in various elderly and frail populations (Verdijk L.B., Gleeson B.G., 2009). Resistance training can reduce the loss of bone mineral density and increase bone stiffness, demonstrating its ability to act as a barrier to the development of osteoporosis. 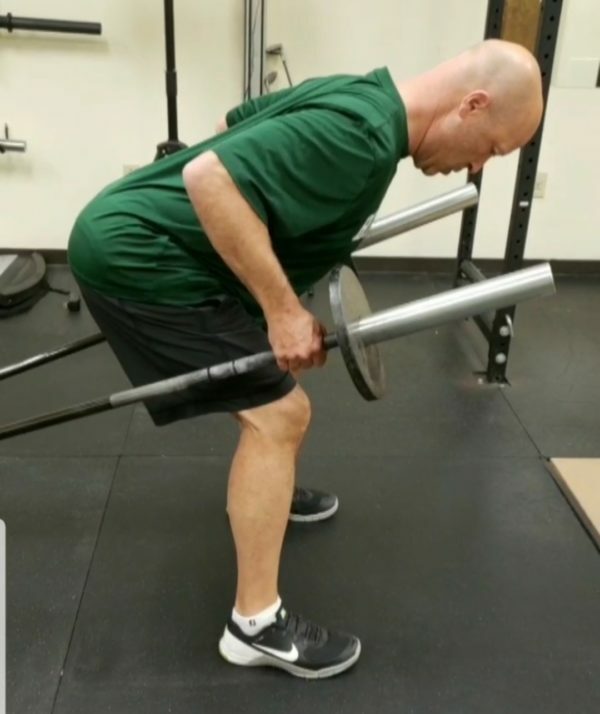 (Senderovich H., Kosmopoulos A., 2018) High-intensity progressive resistance training may also improve vertebral height as well as lumbar spine and femoral neck bone mineral density. (Senderovich H., Kosmopoulos A., 2018). As I mentioned earlier, the decrease in muscle mass that occurs with aging and a lack of resistance training, is also accompanied by a progressive increase in fat mass and consequently changes in body composition (Volpi E, Nazemi R, 2010). Regular exercise and/or physical activity practice may improve the quality of the years lived, in addition to increasing life expectancy. However, while regular physical activity increases life expectancy, it remains unclear if high-intensity sports activities further increase life expectancy (C.D., Knapp G. 2012). Resistance training may also lead to improvements in things like anxiety (Strickland J.C, Smith M.A., 2014), high blood pressure and triglycerides (Cornelissen E.A., Fagard R.A., 2011), and with daily tasks (climbing stairs, putting on clothes, etc.) of people with Alzheimer’s, and much more. Over the past ten years I’ve coached dozens of people per day, (many thirty to sixty five years of age), through resistance training programs both in person and online. Whilst many people’s initial primary goals are immediate and superficial (i.e. body fat reduction, increased muscle mass, performance, strength, and ability to complete functional tasks, all with less risk of injury, etc. ), other benefits of resistance training appear to rarely spoken of. Since the resistance training programs I design are based upon each person’s specific goals, schedule, level of commitment, levels of mobility, injury status, and so much more, it’s important to understand just about anyone can start, no matter your age. Despite the well known advantages of resistance training resistance, it may be a difficult intervention to implement in older individuals due to the necessity of specific equipment and supervision, the possibility that it may not be indicated in certain conditions frequently found in older patients (e.g. hypertension, stroke), and the fact that weight lifting may not be an appealing activity for sedentary people. (Volpi E., Nazemi R., et al. 2010). There are a countless number of ways to set up a resistance training program. However, making sure you’re implementing the basic principles required for success is most important. For example, causing an adaptation of the body to a progressive increasing load must happen to get stronger. There are several methods you can use to achieve this such as increasing the amount of weight lifted, number of sets performed, range of motion you used, and/or number of times per week you train. Before you begin a resistance training program, it’s extremely important assess your movement capacity and determine which exercises are safe for you according to your level of mobility, injury history, and body structure etc. If you start a resistance training program without an understanding of these things, injury and setbacks are more likely to occur. If you have any questions after reading this, or want/need help improving your current training or program (or starting one in general) feel free to reach out or inquire about coaching here rivelli.justin@gmail.com on Facebook https://www.facebook.com/JustinRivellisPhysiqueTransformations/ or here on Instagram. Article I just finished: 7 (I know the video says 3) Important Evidence Based Reasons You Should Resistance Train If You're Over 30. – – Feel free to visit the link and/or share this post if you think someone may benefit from hearing this. Link to article here: http://justin-rivelli.com/?p=9008 – – By doing so you will find out how a lack of resistance training can lead to many more consequences than just things like a loss of muscle mass, strength, and a less desirable body composition. – – A small piece of the article… – – 1. Although aging is inevitable, a #sedentary #lifestyle can accelerate it’s progression by decreasing physical #fitness and the incidence of chronic #diseases. (Ciolac E.G. 2013) – – 2. Over the next two decades, 77 million baby boomers in the United States will reach #retirement and by 2030, one in five Americans will be 65 or older. (Papa E.V., Dong X., 2017) – – 3. Compelling #evidence suggests that #resistance #training can improve quality of life, prevent or control the development of chronic disease (physically and mentally) and increase life expectancy. It has an important influence on aging and may help to prevent age-related disorders. (Ciolac E.G. 2013) —————————————————————————– Many factors contribute to age-related loss of #muscle mass and #strength, however physical inactivity is probably the most important. (Kalyani R.R., Corriere M., 2014 1. MUSCLE LOSS: Muscle mass decreases approximately 3–8% per decade after the age of 30 (Holloszy J.O., 2000). This rate of decline is even higher after the age of 60 (Melton L.J., Khosla S., et al. 2000). Age-related muscle loss is a strong risk factor for disability, hospitalisation, and death in older adults. (Fielding R.A., Vellas B., Evans W.J, et al. 2011) (Visser M., Goodpaster B.H., Kritchevsky S.B., et al.) Changes in skeletal muscle are especially important because muscle is essential for locomotion. (Kalyani R.R, Corriere M., 2014) (Rosenberg I.H., 1997) #fitness #bodybuilding #sarcopenia #osteoperosis #fatloss #onlinecoaching #crossfit #berkshirecounty #pittsfield #lenox – Any questions or comments I'll answer personally.